1. 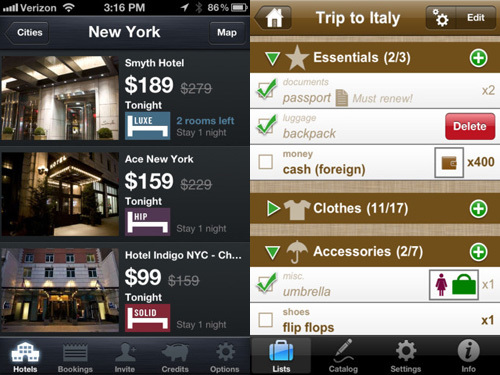 Travel App Box- Dubbed the swiss army knife among travel apps, this app does it all. For $1.99 you get 15 tools in one, including a tip calculator, country calling codes, and offline detailed maps. 2. Google Translate- Become multilingual with this app! Type in or speak your phrases to read and hear the corresponding translations in more than 60 languages. 4. Packing Pro- If you seem to always forget something at home than download Packing Pro. Set reminders and Create customized lists for every type of travel (e.g., leisure, business, camping) and even receive built-in Expert assistance. 5. Oanda Currency Converter- Find out if that 300 euro outfit is really worth the $375 dollars with this app. Oanda allows users to choose from more than 190 currencies and four metals along with any bank rate! 6. Mint- Mint allows users to easily track, budget, and manage your money in one place. See exactly where you are spending your money and where you can save. 7. OpenTable- With this app you can browse menus, restaurant locations, and make restaurant reservations with no trouble at all. Users can even manage upcoming reservations and earn dining reward points! 8. TripIt- Avoid dealing with messiness and combine all of your itineraries in your TripIt app. This organization tool stores everything from confirmation numbers to reservations and even syncs with your calendar. 9. TripAdvisor- Can’t decide which hotel to stay at or which restaurant to dine at? Download TripAdvisor to access ratings, reviews, and recommendations. 10. FlightTrack Pro- Another one of our favorites, this app conveniently gives users everything from live flight status and terminal maps to seat charts and alternative flights. Whether caused by the sun, pregnancy, or simply your own DNA, over-production of melanin can lead to dark spots and uneven skin tone. Instead of cursing your parents (or yourself for not wearing a hat and sunscreen more often), even out your skin tone with Guinot’s brand new line for brighter, clearer skin – Newhite. 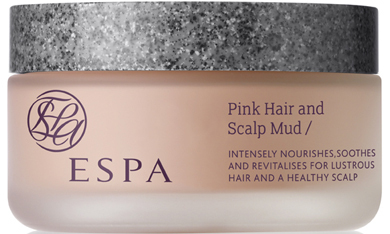 The scientifically-formulated range launches in July 2012 with crisp silver and white packaging and will feature a variety of products that work in concert to perfect the skin’s delicate color balance. The results-driven products all include Vitamin C, which acts as an exfoliant and antioxidant to smooth the skin and combat damage from UV rays, and Melanoxyl, which reduces the skin’s latent melanin content and inhibits the production of any additional melanin that could be generated by any further exposure to UV rays. Perfect Brightening Cleanser – This face wash removes makeup as it cleans with an ultra-fresh cream gel texture. Perfect Brightening Cleansing Oil – This amazing oil foams once in contact with water, dissolving even the most stubborn makeup, and provides an instant skin-lightening action. Perfect Brightening Lotion – For a finishing touch to makeup removal, the toner stimulates the skin and can be used to refresh the face during the day. Brightening Day Cream – This luxurious cream lightens and evens the complexion. Brightening Night Cream – Acting at night when cellular activity is at its greatest by prolonging the lightening effects of the Brightening Day Cream for effective results 24 hours a day. Brightening Serum – This potent serum lightens and evens out the complexion, acting intensely on brown spots while protecting against free radicals. Instant Brightening Mask – Ideal for starting a lightening program, this intensive treatment lightens and evens out skin tone by counter acting effects of pigment production. Start with one application daily for seven days followed by weekly maintenance. Guinot products are carried in over 1000 spas and salons within the US. To locate a spa, visit www.GuinotUSA.com. This summer, Zurich is holding its first ever food festival, Il Tavolo! Beginning on June 27 and lasting until July 1, the event will take place along the beautiful Limmat River in Switzerland, showcasing a mixture of Mediterranean food and haute Swiss cuisine from local five-star hotels and restaurants, including the Park Hyatt Zurich. As host of the opening night dinner, Park Hyatt Zurich will be serving a lavish six-course meal prepared by six different chefs. Join in the fun and watch them as they run from kitchen to kitchen to prepare your five-star dish! The highlight of the festival will be the Gala Night held at the Swiss National Museum, which will serve a delicious array of foods prepared by the top chefs of Switzerland. The goal of the festival is to highlight the fantastic cuisine Switzerland has to offer, as well as bring the Zurich community together for a few great days of food and fun. Our recommendation? Stay at Park Hyatt Zurich to be in the middle of the action, or Eden Au Lac for a gorgeous getaway just five-minutes away. Bon appétit! crystal cruises’ short & sweet sailings – book by june 30 for limited time savings! Shorter can be sweeter! Ultra luxe Crystal Cruises is offering 12 new, five- to eight-day sailings from July through December 2012. To accommodate today’s time-strapped traveler, these shorter sailings showcase the favorite must-see destinations and charm-filled gems of Southern Europe while “tasting” the Crystal difference. Starting at just $1,310 per person, the rate for these all-inclusive sailings includes luxurious accommodations; gourmet dining including Nobu’s Silk Road and Piero Selvaggio menus at Prego; fine wines and premium spirits; gratuities for housekeeping, bar, and dining staff throughout the ship; all fitness classes; inspirational enrichment activities; a variety on onboard entertainment; and much more! For Crystal reservations, contact a travel agent, call 888-799-4625, or visit www.crystalcruises.com. 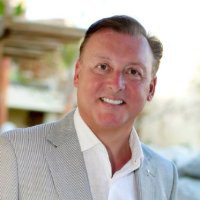 Kerzner International is pleased to announce the appointment of Peter Bowling as Managing Director for One&Only Palmilla in Los Cabos, Mexico. In his new role, Bowling will be responsible for the overall operations of the iconic resort, renowned for its intuitive service and old-world elegance. Prior to this appointment, Bowling served as General Manager of Capella Pedregal in Cabo San Lucas, where he opened the property in 2009. As Managing Director of One&Only Palmilla, Bowling will report directly to George Markantonis, President and Managing Director of Kerzner International. With over 26-years of experience in the luxury hospitality industry, Bowling began his career in England at the acclaimed Lainston House and Eastwell Manor before holding a position at Chilston Park Country House. After relocating from England in 1986, Bowling went on to manage some of the Caribbean’s most celebrated resorts including The Royal Pavilion in Barbados and the Cotton House Hotel in Mustique. Bowling also developed Villa Nova, Barbados’ first boutique style hotel, and was Managing Director of the renowned Jumby Bay in Antigua, where he spearheaded an extensive renovation to the private 300-acre island, part of the Rosewood Hotels & Resorts group. With unobstructed views of the Sea of Cortez, One&Only Palmilla is a favorite with the celebrity set thanks to unparalleled service and thoughtful details, from personalized minibars and complimentary wellness therapies, to manicured beaches complete with floating beds and private butlers. In November 2008, the resort’s traditional Mexican ambiance was carefully preserved while the facilities and services were considerably upgraded as part of a $30 million renovation. All rooms and suites, including the new beachfront casitas with private infinity pools and the lavish four-bedroom Villa Cortez, face the ocean with a private balcony or patio offering expansive views of the sea for a new generation of travelers. About One&Only Resorts Created exclusively for the luxury resort market, One&Only Resorts are conceived as hallmarks of excellence. Set in some of the most beautiful locales in the world, each award-winning resort offers guests a distinctive style and personality borne of its local culture, a genuine hospitality and a lively energy that is unrivalled. These properties include One&Only Reethi Rah, Maldives; One&Only Le Saint Géran in Mauritius; One&Only Royal Mirage in Dubai; One&Only Ocean Club in The Bahamas, One&Only Palmilla in Los Cabos, Mexico, One&Only Cape Town, South Africa and One&Only The Palm, Dubai. One&Only recently announced plans to develop and operate a new One&Only resort on Tufu Bay in Sanya, Hainan, China. One&Only Sanya is anticipated to begin welcoming guests in early 2014. More information on One&Only is available at www.oneandonlyresorts.com. Kerzner International Holdings Limited through its subsidiaries, is a leading international developer and operator of destination resorts, casinos and luxury hotels. Kerzner’s flagship brand is Atlantis, which includes Atlantis, Paradise Island, a 2,317 room ocean-themed destination resort in The Bahamas, as well as The Cove Atlantis and The Reef Atlantis in The Bahamas and Atlantis, The Palm in Dubai, a 1,500-room, water-themed resort on The Palm, overlooking the Arabian Sea and mainland Dubai. Under the One&Only brand, Kerzner also manages seven of the top-rated luxury resort properties in the world, located in The Bahamas, Mexico, Mauritius, the Maldives, South Africa and Dubai. Kerzner recently announced plans to develop and operate a new One&Only resort on Tufu Bay in Sanya, Hainan, China, anticipated to begin welcoming guests in early 2014. Additionally, the Mazagan Beach & Golf Resort, a 500-room destination casino resort in Morocco, is also operated by Kerzner. For more information concerning Kerzner and its operating subsidiaries, visit kerzner.com. Sure, Ty Pennington may be able to remodel a home in one week, but could he do the same for a 77,319 square foot cruise ship in two? Well, the interior designs teams at Adfecto and SMC Design from London and KNA Design from Los Angeles have done just that to Crystal Cruises’ award-winning ship, Crystal Symphony. The completion of the recent $15 million dry dock reveals chic new public spaces aboard the ultra-luxe ship, including the Avenue Saloon, Palm Court Lounge, Galaxy Lounge, Hollywood Theatre, Bridge Lounge, Fantasia and Waves “junior cruisers” entertainment centers, and the Tender Landing/passenger boarding area. The final step in a five-year plan, Crystal Cruises has now redesigned every room aboard the prized ship, to the tune of $65 million. Now that the dry dock is complete, Crystal Symphony is showing off her new look while she explores the Baltic and Northern Europe before crossing the Atlantic in September to experience the brilliant foliage and infamous beauty of fall in New England and Canada. For more information on Crystal Cruises and upcoming itineraries, please visit www.crystalcruises.com. Alice Marshall Public Relations now represents Hôtel du Petit Moulin in Paris, France. 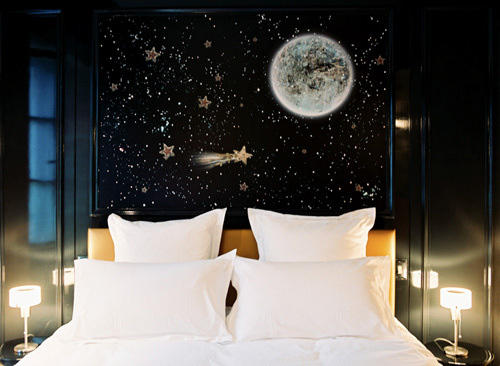 The boutique hotel designed by Christian Lacroix joins the family of hotels owned by Jérôme Chevalier, that includes Pavillon de la Reine and Le Pavillon des Lettres. The 17-room Hôtel du Petit Moulin is located on the corner of Rue du Poitue and Rue de Saintonge, nestled in the chic shopping scene that is the city’s hip Marais district. Housed in a 17th-century building, behind the historic façade of Paris’ oldest bakery, the eclectic Hôtel du Petit Moulin opened in 2005. Each of the rooms were individually designed by Christian Lacroix, and the interiors reflect the designer’s vivid imagination and signature palette of vivid colors; room themes range from opulent Baroque to spare Scandinavian to a slightly sci-fi lunar look to zebra everything, and more. A virtual design kaleidoscope, rooms are decorated with blown-up sketches from Lacroix’s own notepads, and antique chairs upholstered in bold, modern fabrics, while bathrooms feature intricate mosaic tiling in a variety of designs, and lawn-green hallways are paired with black-and-white polka dot carpet. After a day of strolling around the historic Place des Vosges and exploring nearby sites, such as Notre Dame and the Bastille, unwind in the hotel’s stylish bar, that features “scrap book” walls and modular, 60s seating in luminous Liquorice All-Sort shades of yellow, orange, lime, and pink. You may even catch a glimpse of Christian himself. Rates start at 250 euros (approximately $313 USD) per night. For more information visit www.paris-hotel-petitmoulin.com.